Sept 2003. Marjorie Postlethwaite (nee Lang) sent in this class photograph. "...I have only been able to find one photo from my sisters class at Queen Mary St. School, I think about 1952/3 not too sure. Marjorie Postlethwaite (nee Lang)"
July 2006 ... My mum was looking at your site and she came across a school photo of my late dad. 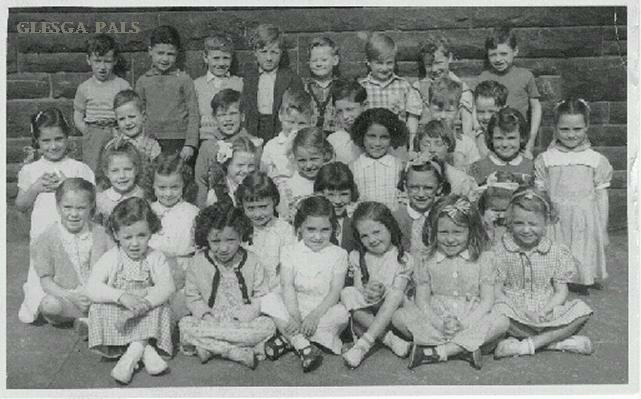 He was in Queen Mary Street School cc class of 1952-1953, he's in the top row number 8 and his name is Charles Brown. Thank's Martin Brown. Queen Mary Street building is now a nursery school and also houses various community groups.